And the theorist and conductor René Leibowitz described Sibelius in 1955 as “the worst composer in the world.” Fortunately, contemporary scholarship has not only managed to bridge this ideological gap, but also given us new methods for looking at Sibelius with fresh eyes. 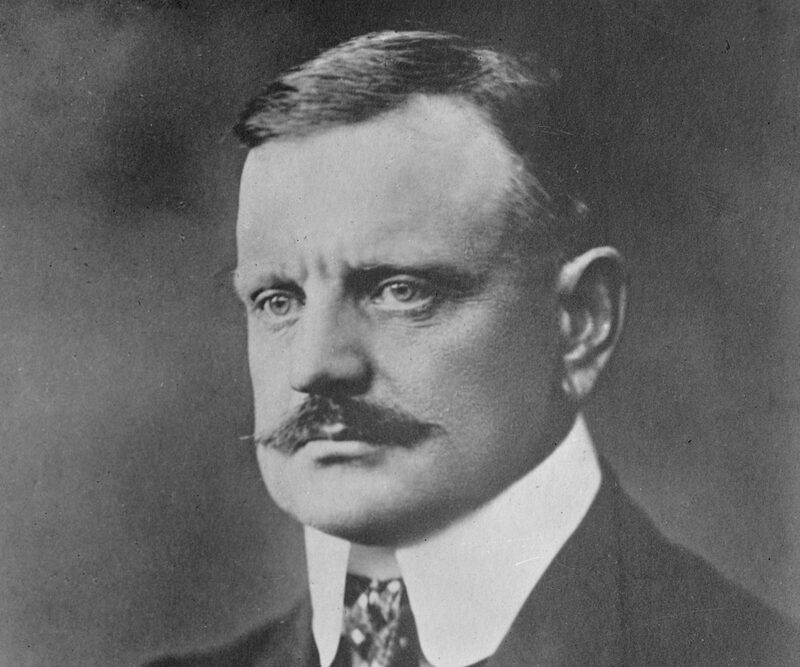 Sibelius received a generous grant to study in Berlin, and the various musical activities there made a huge impression on the young composer. As a student of Albert Becker, Sibelius was subjected to endless and laborious counterpoint exercises, yet his piano quintet secured him a scholarship for the next academic year. Instead of returning to Berlin, however, Sibelius departed for Vienna in 1890. He dreamt of becoming a student of Brahms or Bruckner, but in the end settled for Robert Fuchs and Karl Goldmark. His year in Vienna was seminal for his future development as a composer. For one, he turned his attention towards orchestral music, and he also began to study the musical and rhythmic implications of the Kalevala, a work of epic poetry from Karelian and Finnish oral folklore and mythology. Kullervo, an enormous work in five movements for orchestra, male chorus, soprano and baritone soloists was completed in April 1892. The work was considered the most impressive Finnish composition to be written so far, and his marriage to Aino Jänefelt initiated a steady rise in the composer’s musical and private fortunes. Sibelius composed furiously, and even spent considerable efforts on a grand opera. But it was the emergence of his First Symphony and Finlandia—in response to censorship enforced by the Russian emperor Nicholas II—that paved the way for Sibelius’s international breakthrough. The works were presented in nineteen concerts in thirteen different cities, including Sweden and Germany, and the response was resoundingly enthusiastic. Empowered by this international acceptance, Sibelius quickly produced a second symphony and finished his Violin Concerto. However, success also encouraged a period of excessive wining and dining in Helsinki, with exorbitant amounts of money spent on champagne and lobster. His lifestyle had a disastrous effect on his health—eventually he had a tumor removed from his throat—and it drove his marriage to the point of collapse. Sibelius did eventually recover his composure, and was in great demand as a conductor throughout Europe. In each of his seven symphonies, Sibelius approaches the basic problems of form, tonality and architecture in a unique and individual way. Balancing his Classicist roots with his Romantic inclinations, Sibelius remains one of only a handful of 20th century composers to have become a legend within his own lifetime. His last major work for orchestra was the tone poem Tapiola, and for over 30 years of his remaining life, Sibelius virtually stopped composing altogether. This period, known as the “Silence of Ainola,” was only interrupted by a couple of Masonic compositions and editorial work on his earlier music. Sibelius did apparently draft a Symphony No. 8, but soon understood that his 7th had already taken his musical language as far as it could possibly go, as it carried his lifelong quest for formal and motivic compression to its logical extreme. Sibelius did exert considerable influence on symphonic composers, including Vaughan Williams, Leevi Maetoja and Arnold Bax, and it is claimed that he was “the first great composer since Beethoven whose mind thinks naturally in terms of symphonic form.” His symphonies are routinely performed around the world, and his intensely virtuosic and brooding violin concerto is a rightful staple of the concerto repertoire.